Oppo recently announced that it will soon launch a new “Reno” flagship smartphone. The phone is expected to be a premium mid-range offering and its specifications were recently revealed through the Bluetooth SIG certification and Wi-Fi Alliance certification. Now, the company’s Vice President boasted about the phone’s impressive screen-to-body ratio too which is said to offer 93.1 percent screen-to-body that too without any kind of notches or cutouts. This suggests very minimal bezels surrounding the display. Further, the VP says that there won’t be any holes on the back panel as well. However, it isn’t clear if there are no holes at all or no holes except for the camera module. The company could be adopting a slider-based design in which the slider houses the camera sensors. But it’s just speculation at this point in time. 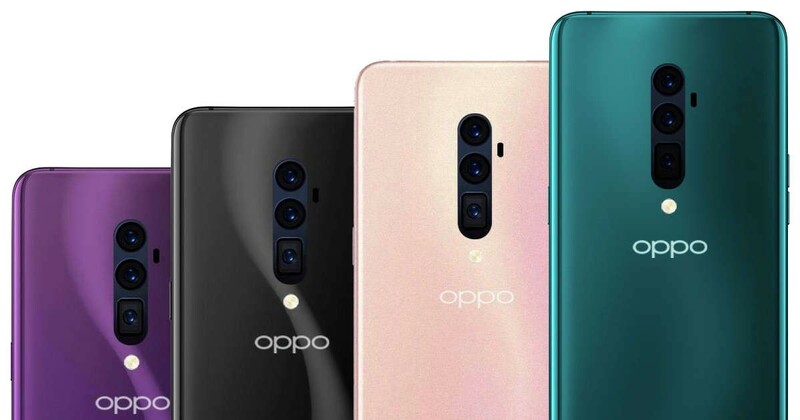 The Oppo Reno smartphone is said to come with an OLED display with an in-display fingerprint sensor. It could have a 6.4-inch display that should probably support Full HD+ screen resolution. The phone will be powered by Qualcomm Snapdragon 710 SoC. Earlier, the phone was rumored to be powered by Snapdragon 855 chipset. As for the camera configuration, the phone will come with a 48-megapixel + 5-megapixel dual camera setup on the back and a 16-megapixel front-facing shooter. Connectivity options on the device include Wi-Fi 802.11 b/g/n/ac and Bluetooth 5.0. The device will be running the latest ColorOS v6.0 based on Android 9 Pie OS. To know for sure what the company will offer in the ‘Reno’ smartphone, we’ll have to wait for a few more weeks for the official launch event to take place on 10th April.